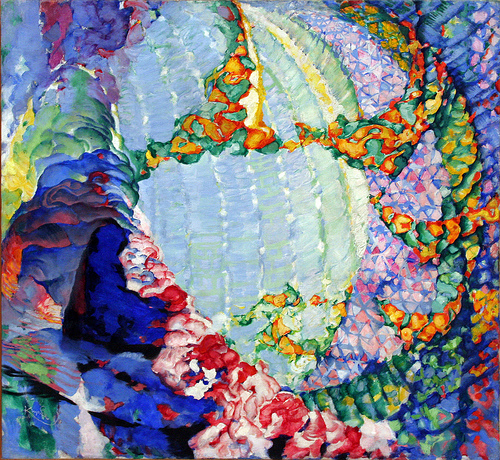 The exceptional retrospective at the Grand Palais traces František Kupka’s journey, the beguining marked by symbolism and his gradual evolution towards abstraction, of which he will be one of the pioneers. 300 paintings, drawings, engravings, books and documents bring life into the artist and reveal his committed and singular personality. The exhibition leads us to discover his artistic and intellectual path and plunges us into a universe rich in colors, shapes and movement. This exhibition is organized by the Réunion des Musées Nationaux-Grand Palais in partnership with the Pompidou Center, Paris, the Národní Galerie v Praze, Prague, and the Ateneum Art Museum, Helsinki.